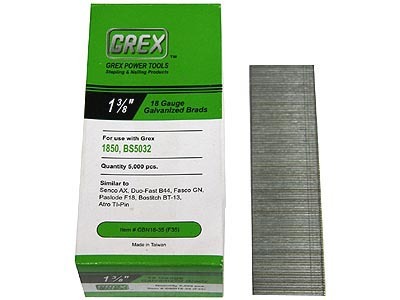 Grex 18 Gauge Galvanized Brads-1 3/8" (35mm)- Box of 5,000 for use with Grex 1850 and BS5032 brad nailers. Excellent quality-made in Taiwan (not China). 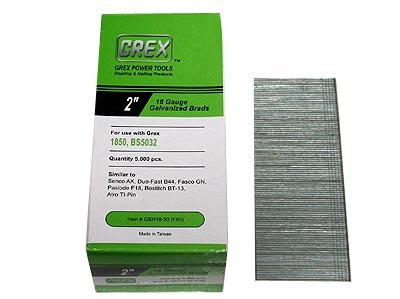 Similar to Senco AX, Duo-Fast B44, Fasco GN, Paslode F18, Bostitch BT-13 and Atro TI-Pin .